Everyone wants to lose weight for health or personal reasons. Generally, weight loss happens when your body burns off more than what you take in. A normally built adult will lose 1500 calories a day just with basic daily functions such as breathing, sitting, sleeping and low level of activity also called basal metabolic rate. You can use this guide to show you how much your body consumes based on your age, weight, and height. The idea is to modify your diet to only around that amount. Remember also not to eat less than 1200 calories a day because it will put you at risk of a lot of nutrient deficiencies and will decrease your metabolic rate. Slashing off 1000-1500 calories from your normal routine can make you lose around 1-2 pounds a week! 2. Eat more good food. Of course, eating natural and healthy food will help you lose weight. This is especially true for food low in the glycemic index because they help you become full longer for the same amount of calories. Examples of food low in the glycemic index include food rich in fiber and protein such as whole wheat, eggs, nuts. Some foods also help increase your metabolism, meaning you will burn more food at your basal metabolic rate. These food include egg whites, lean meat, coffee, green tea, chili peppers, lentils, and whole grains. Often, thirst can be mistaken for hunger. Drinking a few cups of water when you feel hungry or before any meal can decrease your caloric intake. It will make you full quicker. It’s also a good idea to put a pinch of salt in your water throughout the day to also add electrolytes so that the water will penetrate your cells instead of being flushed out immediately. We often find ourselves reaching out for snacks even when we’re not hungry out of accessibility and boredom. Every time you feel hungry, wait 10 minutes if the hunger is still there. Often hunger due to boredom will go away on its own. Also, limit buying snacks, especially unhealthy ones, so that you don’t have one at reach. Exhaustion and sleepiness are also a cause of mindless eating. The urge to eat often comes from an imbalance of hormones ghrelin and leptin that affect satiety, therefore signaling your brain to get more calories to help you stay up. It’s also interesting to note that your basal metabolic rate is almost double of its rate compared to waking up because your body tends to spend more calories regenerating your body while sleeping. Standing up or sitting down with your back straight is actually a great way to lose weight. Aside from being good for your spinal column, it also works your back and abdominal muscles automatically toning them. This extra work burns more calories and also makes you look better and more confident. 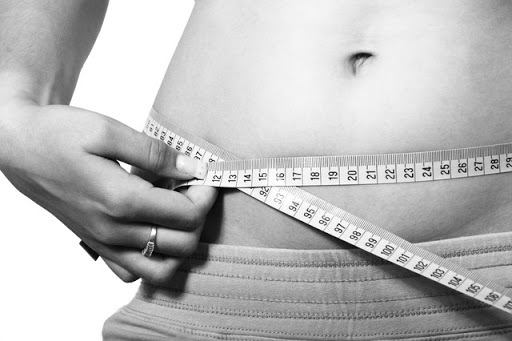 Of course, the best way to lose weight is balance all these initiatives with increasing your physical activity. But during times when you simply can’t, we hope these tricks on ways on how to lose weight without exercise can help you get fit and healthier!